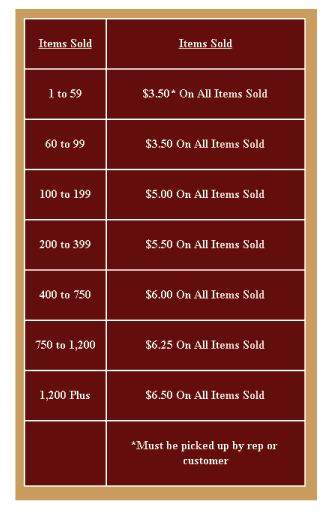 Your Organization may receive the Profits immediately, at the point of sale. 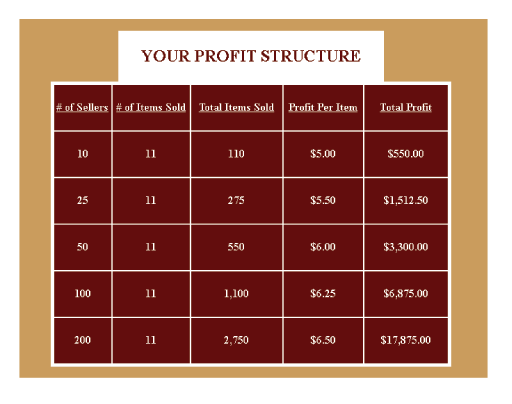 Determining your profit is easy, simply multiply the total number of items sold, by your profit level. THANK YOU FOR YOUR CONTINUED BUSINESS, LOYALTY AND SUPPORT! CALL KEN, PATTY OR YOUR SALES REPRESENTATIVE WITH ANY QUESTIONS.